I am a freelance journalist and food writer living and working in Wellington. In my previous life I was a pasta maker – a fifteen-year stint that in no way prepared me for a career in the newsroom but did give me an advantage when it came to covering stories about food. Happily, my colleagues at Radio New Zealand were quick to recognise where my true interests lay. Their foresight and the encouragement of various print editors since has enabled me to establish a freelance career in which I have made radio programmes, reported on farming issues and written food and travel articles for publications including onHoliday, Cuisine, NZ House & Garden, the Dominion Post and NZ Life & Leisure. As food editor of NZ Life & Leisure magazine (2011 -2018) I have been privileged to meet, learn and write about NZ’s most inspiring food and drink producers. I’ve fossicked in vege patches, brewed beer, pressed curds, baked bread and gone fishing. And I’ve loved every minute of it. And now the blog. I call it Pass the Salt, in the hope it will grow into an ongoing conversation about food. BRAVO!!!!!!!!! !et apres passe moi l eponge………. Ta remarque ne manque pas de sel! Congratulations on leaping into the abyss that is blogging!!!! can’t to get the word out and to follow your updates. It’s a brave new world alright. Very liberating, not having an editor! Delicious Anna, your discerning tastes will lift the quality of the blogosphere. Give it a grind of pepper. Lovely, beautifully written blogs on food. Go Anna! I’m just about to launch a blog site myself but aah you’ve set the bar very high! Well done! Checking out “Pass the Salt” for the first time and it’s looking tasty! Hi, let me know if you’d be interested in having your blog featured with other NZ bloggers for the Taste Farmers Markets New Zealand Awards. Deadline for posting is the 25th. Sounds like a good idea. What do I have to do? Just discovered your blog, and enjoy it a lot! As a new-New Zealander, and a very ambitious cook, your posts are really helpful, especially the occasional tips about adapting recipes for the use of ingredients as they exist here. Brava! Thanks James. I have every intention to post more frequently and comments like yours spur me on! Hi Anna! I have just found your blog through Millie’s blog. Having a lovely visit, and look forward to my next one already! thanks for visiting, I’ve just popped in to yours and left feeling very hungry! Anna, i am interested in the small gite you talked about in one of your blogs. we will be in that area in November. Could you contact me please. Je viens de passer quelques minutes heureuses en voyageant sur ton blog. D’ici, de mon Auvergne, je me suis envolée vers ton Périgord vert … pas forcément le chemin le plus court puisque je transite par la Nouvelle-Zélande, mais certainement plus agréable que d’emprunter la N89. Thanks for following me on Twitter – now I’ve discovered your wonderful and interesting blog! 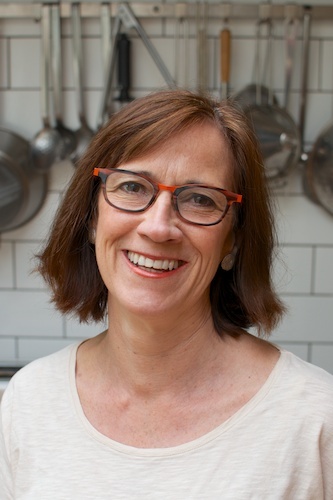 I’m a friend and fan of Denise’s and loved your post about your food styling class. I too participated in a beautifully inedible chicken! I look forward to reading more of your blog. Hey Anna! Would love to get in touch with you as we look after many food clients. Could you please email me with your details? Thanks! Anna, I’ve just spent a delicious hour catching up on your blog posts. You write so beautifully. Thank you.